. . . speaking of American realism and the vernacular !! 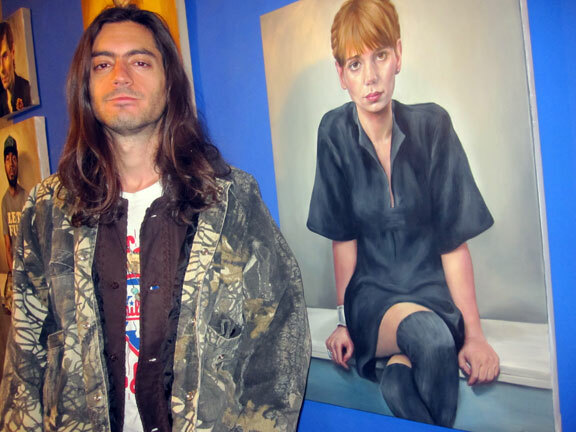 it’s alive and well – on the Lower East Side !! 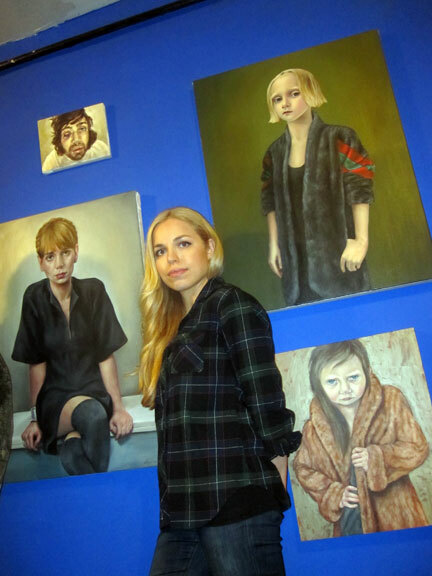 meet JESSICA BAJOROS – with her ‘realist’ paintings behind her. they have a natural dead pan archival take, almost totally photographic. but, often with a little bit of magic thrown in – under the radar !! 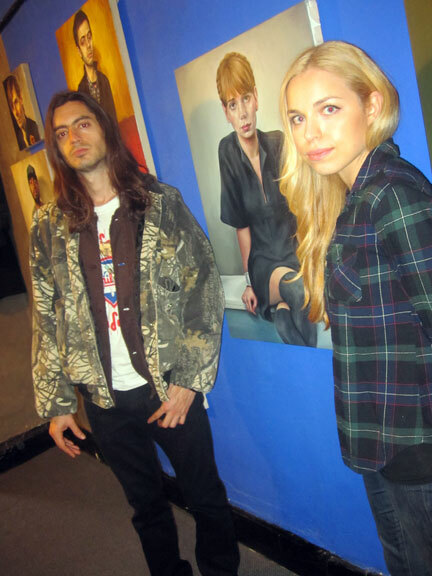 it was HESH who brought me to meet Jessica and see her work, a few months ago, that’d be last Oct 2011 – to be exact. JESSICA BAJOROS. oil paint on canvas. this image reminds me so much of those ‘straight-ahead-faced’, even maybe ‘poker-faced’ !! – 1970 WILLIAM EGGLESTON photographs – just posted. 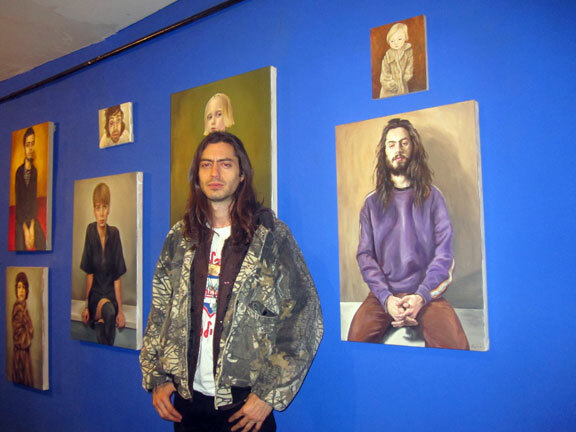 that’s Hesh with his Jessica Bajoros portrait on the right. although I immediately liked her work, I didn’t know how to fit in into the ‘dialog’ of October 2011 – it was way ahead of the curve !! it fits nicely with talk of Americana, archiving, and realism, for sure. not to forget – the ‘spectacular’ vernacular – of the street. New York City style !! 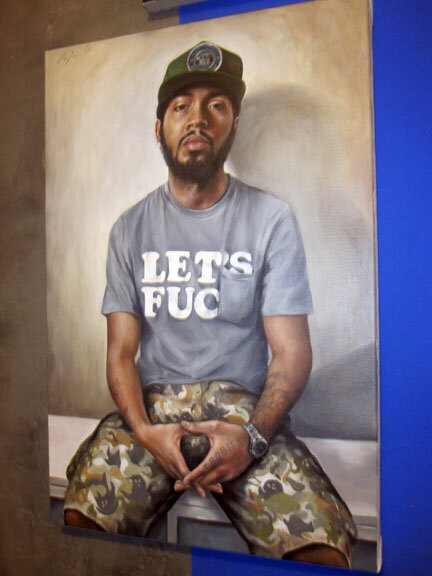 JESSICA BAJOROS – PORTRAIT OF WIGGS, FALL 2011. oil on canvas. you can follow WIGGS, on twitter: @FWIGGS . . . all good. PHOTOS: NANCY SMITH, NYC. OCT 22, 2011.